She was an avid user of the platform. Shortly after reports emerged a shooter had opened fire in the San Bruno, California, YouTube offices, news spread the attacker was a woman who'd shot her boyfriend. Though the motive for the shooting is still unclear, authorities identified Nasim Najafi Aghdam, 39, as the suspect. She is now dead of what is believed to be a self-inflicted gunshot wound. Per a press release from the San Bruno Police Department, police found the suspect dead in the building when they arrived at the scene. At the time of the statement, there was "no evidence that the shooter knew the victims of this shooting or that individuals were specifically targeted," despite all the contrary, original reports. Aghdam was a San Diego resident. According to CNN, there are at least four channels on YouTube using Aghdam's name — one is Farsi, another Turkish, a third English, and a fourth just for art. There is a personal website connected to her name where a woman, presumably Aghdam, often spoke about animal rights, environmental issues, and complained about YouTube demonetizing her platforms and discriminating against her by filtering her videos out to prevent her from maximizing views. There is no free speech in real world & you will be suppressed for telling the truth that is not supported by the system. There is no equal growth opportunity on YOUTUBE or any other video sharing site, your channel will grow if they want to!!!!!! By Tuesday night, all four of the channels linked to Aghdam's name had their videos removed due to a YouTube violation. On Monday night, police found Aghdam sleeping in her car after she'd been reported missing by her family since Saturday. 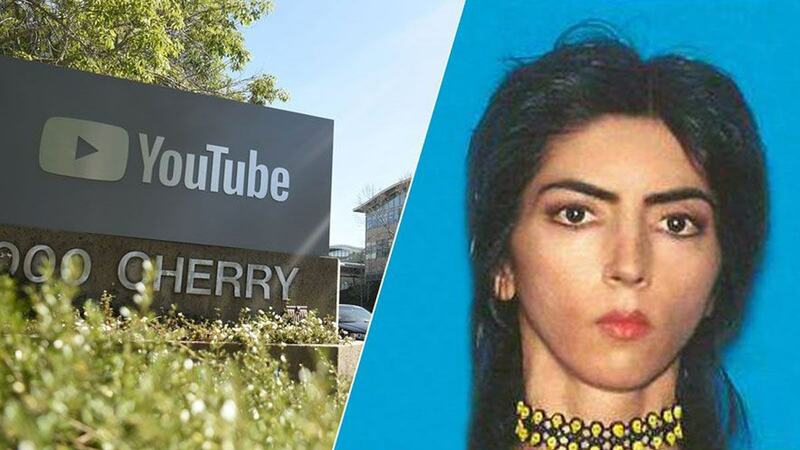 Her father Ismail had warned police he thought Aghdam might head to YouTube because she "hated" the site, the Mercury News reports. He told the paper "she was angry" at YouTube as of a few weeks ago, as that's when the site reportedly began filtering her videos. CBS News reports Aghdam had been making a living off monetizing her YouTube videos. Her family told the station they never knew her to own a gun or to know anyone personally at YouTube HQ. The suspect would've turned 40 on April 5.